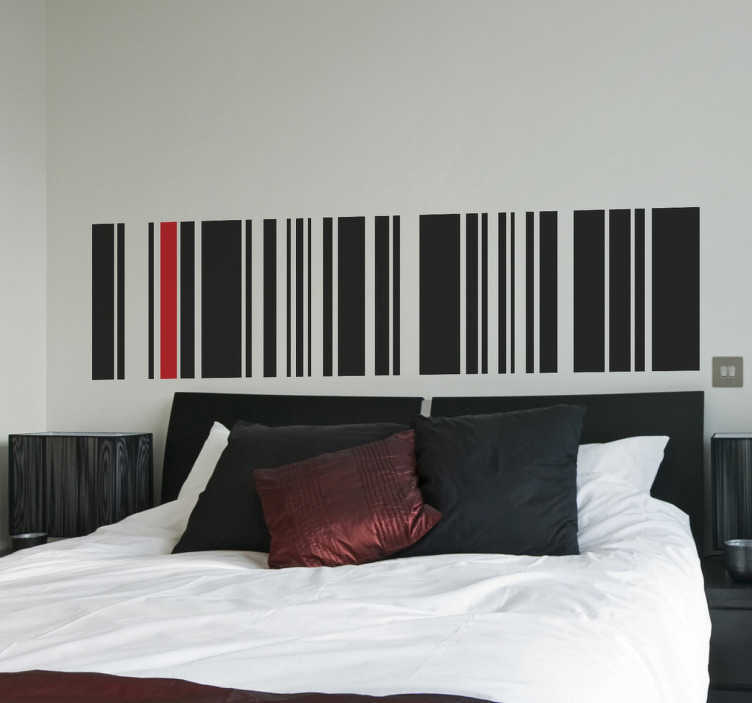 A superb design illustrating a barcode from our collection of lines stickers to decorate the bedboard in your room. An elegant and unique design that will give your bedroom a sophisticated and stylish appearance along with a fantastic atmosphere. If you are looking for a barcode decal with style, this is the one everyone wants! This lined barcode design to decorate any space at home is available in various sizes. It is super easy to apply and remove.